Please fill out the following form to request a permit to enter into a minor hockey tournament. This form is used by team coaches and managers to request approval for participating in Tournaments. Please complete the form and submit it for approval from the executive board. A board member will respond to your request within 1 week. 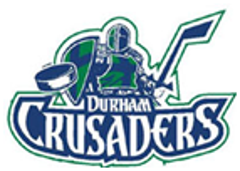 Dates in bold are the best weekends to pick for an away tournament as almost no Crusader teams have ice then. The other weekends listed we have limited ice available so moving ice between teams is easier. Attending tournaments on any weekend other than what is listed above will leave you with less ice for the season.